Yesterday, I started a conversation with my 33 year old marketing manager about age and the undercurrent of how society felt about aging. These are the secret thoughts and perceptions about ageism we all have but usually don’t speak about. You’ve already heard my thoughts on the so-called midlife crisis, but I haven’t yet taken a deep-dive into discussing the dreaded word “aging.” Do you know what my marketing manager said? Well, at 33, she views it from the other end – she gets discriminated against for her age all the time too. Meanwhile, my indignation at Forever 21 was brimming over exactly the opposite way; Why would I want to be forever 21 or forever young? What is wrong with being the age you are – whatever that is? Opening this can of proverbial worms really changed my perception of aging. At the end of the day, we are all people. We each have hopes, dreams, and goals. And we’re each looking up the chain, or down it, thinking different things. As you go about your day, I challenge you to think about the way you perceive the “kids” at the mall. Pay attention to your reactions to a 20 year old coworker and a 30 year old coworker. What about the 40 something person standing in line next to you and 50 something or 60 year old coworker, too. At what age do they start to feel like colleagues instead of kids? Or at what age does someone start to feel like they have become a wise mentor or someone who is too old to know “what’s happening.” How do you treat each person differently? When we start to examine the perception of aging, we quickly realize that age, it seems, is, in fact, just a number. This is a topic can challenge our ingrained beliefs about age. Let’s start a conversation. What is your reaction to age? Now THAT was a twist on aging I wasn’t expecting! Thanks for a new view on the matter. I think we put way to much emphasis on age in our country. My husband and I are in our sixties…we have friends who are over 90 and friends who are in their thirties! We laugh and learn from all of them. I love this perspective! Thanks for reminding us to enjoy and respect the people around us – regardless of their age. Yes. I think it goes both ways. We all should respect whatever ‘age’ is in front of us- even in the checkout line. I think the workplace can be the great age equalizer. I had co-workers of a variety of ages but age didn’t seem to matter; what mattered was being part of a team and pulling your weight. Well said! I agree. At my workplace we ALL know who is competent and has a work ethic and we also know who the slackers are. Whether you are valued has little to do with age. All ages bring different gifts. I value each and every one of them. We are in our 60’2 and have friends in their 80’s and more than few in the 30’s. It’s awesome because we like each other for who we are and what we bring to the table. NOT for how long each of us has lived. Ageism has no place in America. Pity that it thrives non the less. This is a great post because it shows the effects of ageism on both ends of the spectrum. If we could just all accept each other for who we are rather than worry about things that are out of someone’s control, the world would truly be a better place where we could all share and appreciate each other’s gifts. I agree, it really is just a number for sure but, unfortunately, there are many out there who do discriminate when it comes to age. When you say, oh you’re a baby, to someone, it’s more of a compliment I think. I don’t mind ageing, but I think the world does! What a great perspective! Here is what got me thinking: “At what age do they start to feel like colleagues instead of kids? Or at what age does someone start to feel like they have become a wise mentor or someone who is too old to know “what’s happening.” How do you treat each person differently?” Thank you for the food for thought! I try to be open minded and treat people based on their merits not on their age. Great topic and discussion. I took on ‘age is just a number’ when I had my children later in life than most women I met in the playground. I think ageism is more overt in certain fields like entertainment, fashion &the like. The public eye gets catered to by the media. I was so pleased a few years ago when a gal in her 40’s suggested a name for my blog, Ageless Explorer Over 72. Age is an attitude and a lifestyle. While we have good health it is easier to feel vital and youthful. Maybe the pendulum will switch to ‘maturity’ is the norm. This topic is extremely timely for me as well Ines, and my last two Huffington Post articles have been very closely aligned with your piece. Both of them, “Real Beauty Comes From the Inside Out” and “What Would You Like to See Women Recognized For?”, address the double standards that women still face and not just women as they are aging. We have been well-conditioned by the big brands to feel we are not enough as we are, and that the latest and greatest product they offer will solve all our insecurities and lack of inner confidence. 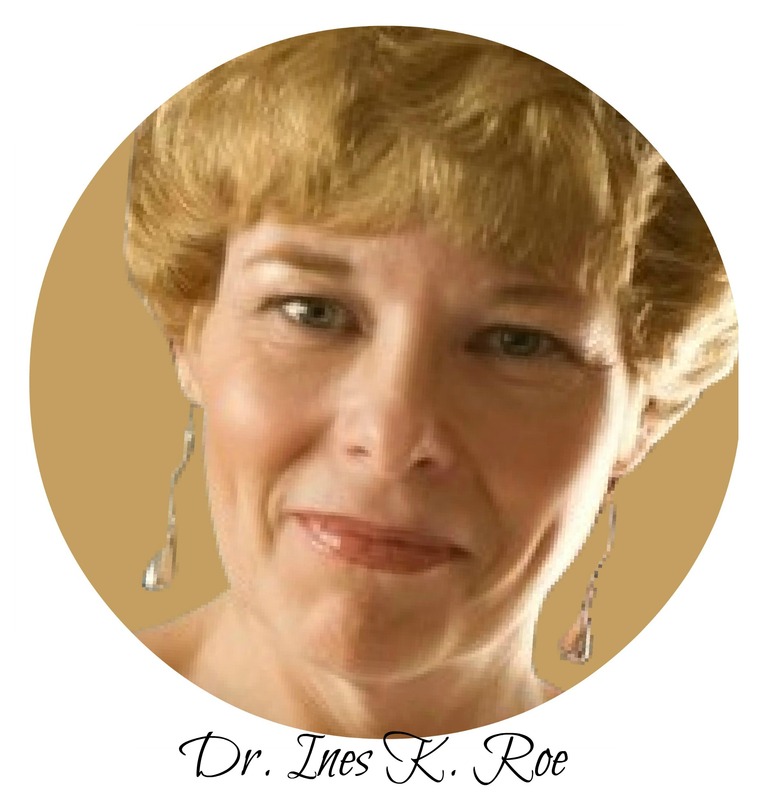 I believe times are changing, as I just listened to a powerful private telegathering call with Dr. Christiane Northrup who is studying (with another doctor) the over 90 generation my mother is in and why they do not seem to suffer with the same effects of “aging” that even the generation after them do. This topic does need an ongoing conversation out in the world and I see things are shifting with more conscious and concerned marketing directed at the core of who we women are. After all, we are in the evolutionary time when the Gaia/Feminine energy is known to be rising on our planet. I’m delighted to keep this conversation very vocal and very alive! Thanks for being part of it! This is really interesting to me. Our driver is 22 and she’s “just a kid”! She’s also a college student, but she’s one of the most “adult” kids I know! On the other hand Pamela, who owns the flower shop, is a very young 70 and I’m an equally young 60. You’d never know it if you saw us (although sometimes our bodies remind us)! My parents are 86 and 92. For us age is indeed just a number and we do our best to sometimes act our age and always look better than we feel. This is a very interesting topic . Knowing how society perceives aging is something that is important to note. Thanks for sharing this! This is absolutely great! I have felt the twinges of growing older. I very much dislike that culture kind of stops paying attention the older you get. I dislike that there is not a lot of respect given to the older people in certain cultures as it is in some others. But there are also things I like. I don’t think you could pay me to be 21 again! I am much more confident in who I am now. At 21, I was not confident at all. I don’t believe in the mid-life crisis. I think people have just come to a point in life that they have finally figured out what they want and do not want! I agree, enjoy every age you are to your greatest ability!